HomeBettingMayweather vs McGregor: UK bets on ‘The Money Fight’ passes £11.6m! The MONEY Fight is living up to it's name, breaking all records in the UK! 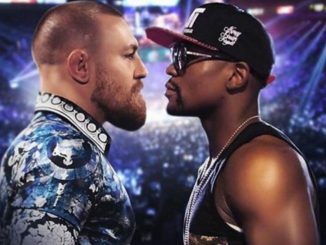 BOXING AND UFC fans in the UK have flocked to the bookmakers in their droves to bet on Floyd Mayweather vs. Conor McGregor. On August 26th 2017, former five-weight world champion Floyd Mayweather Jr will lock battle with the UFC’s lightweight champion in a multi-million-dollar boxing match, possibly the worlds first BILLION DOLLAR fight! Currently, the most talked about fight on the planet, which has divided opinion in the combat sports world, takes place at the T-Mobile Arena in Las Vegas, Nevada, ‘The Fight Capital of the World’. 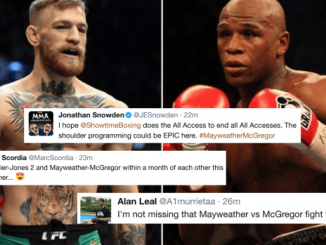 Fan interest in the crossover bout, which was first mooted in May 2016, is currently red hot and is set to increase in the days leading up to fight night. 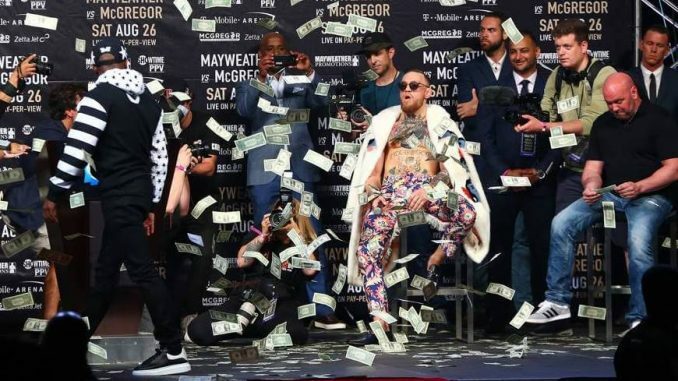 U.K. bookmakers Betfair have been bombarded with a barrage of bets on ‘The Billion Dollar Fight’, taking £11.6m worth of wagers on their exchange market alone. Mayweather McGregor Betting – Exclusive Super Fight Bonus Bets! TAP HERE & CLAIM $$$$’s in BONUS BETS NOW! The jaw-dropping figure dwarves the £8.9m bet on the outcome of Mayweather’s 2015 ‘Fight of the Century’ with Manny Pacquiao. Katie Baylis, Betfair Spokesperson, said: “It’s now two weeks until one of the most anticipated fights in recent memory and with £11.6m bet on the outcome alone already this is now the biggest boxing betting event in Betfair history. 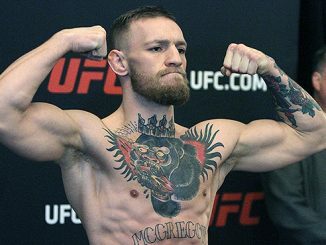 “Floyd Mayweather Jr is the 1/5 favourite, with Conor McGregor at $5.00 and as you would expect most of the money is for Mayweather Jr, however, 40% of bets are on McGregor, compared to 34% on Mayweather Jr and 26% on the draw.